We can offer advice in what packages to get for the best broadband service for you. We can then take the equipment and install your new broadband service at a time and location to suit you. 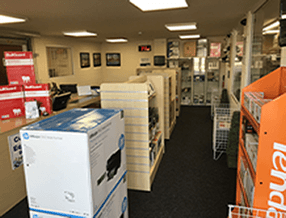 We can then help install any additional network or technology items you have to you new broadband package, and we can also help with wiring offering the complete Broadband installation. If your provider isn’t listed above we may still be able to help so please contact us to check by clicking here. Still need help or want to order! If you have a question or require any more information please feel FREE to contact us by clicking here. or call into our shop and we will be happy to help!